For me the cooler weather and the dogs at the window barking as the kids head back to school is my signal that summer vacation is over. You see we have no children but it doesn't mean that I don’t love seeing them head off for a new year of growing their minds. I love hearing the school bell ring and the kids play at recess and lunch time it reminds me of my childhood. 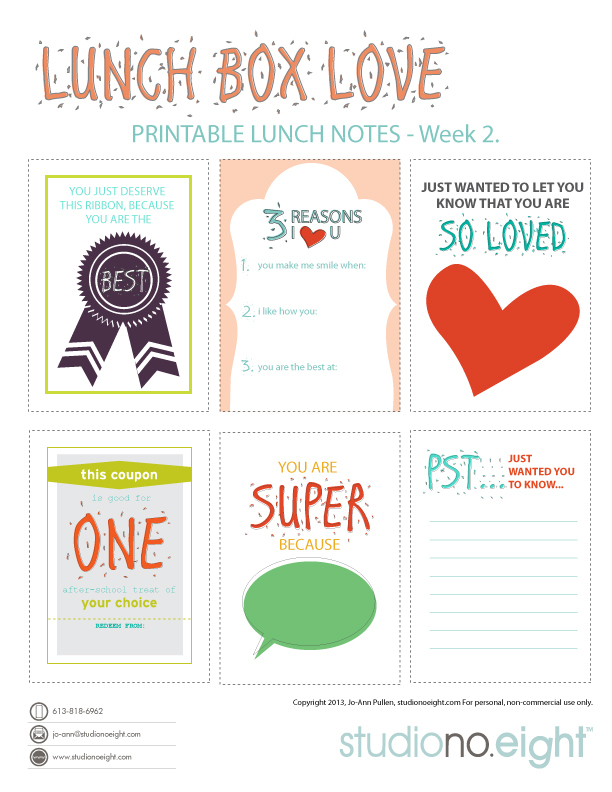 This year I decided to design some cool printable lunch love notes. If I was a Mom I would have so done this. I would have been that annoying Mom who would draw all over their lunch bags (ours would always be brown paper and crayon approved). So in celebration of the new school year I am going to try and do a series of these notes that you can download and print and make your child the envy of the lunch room. Please share with your other Moms it's FREE! Get the PDF HERE.